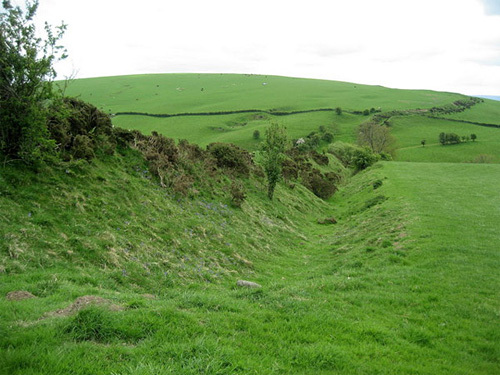 Offa's Dyke was originally a 6 metre high, 177 mile (285 km) long defensive earthwork that ran along the English-Welsh border area (known as the marches). Built in the 8th century by King Offa of Mercia, to keep the Welsh forces at bay. It is the largest archaeological monument in Britain, running from Chepstow (on the banks of the River Severn) to Prestatyn on the northwest coast of Wales. Large sections of the earthwork still remain and the 'Offa's Dyke Trail' follows the line of the Dyke wherever possible, crossing and recrossing the present border between England and Wales, indicating how close the current border is to the original. You can either walk the whole trail (which can take a couple of weeks or more) or walk small sections at a time. Whichever method you choose you will be constantly rewarded with spectacular countryside, from pleasant riverside meadows and gently rolling hills to the dramatic heights of the Black Mountains. 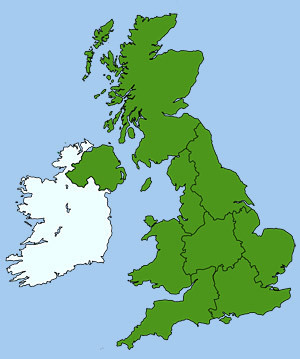 There are also many interesting monuments to be seen along the way, including iron age hill forts and majestic castles. The trail passes near to many historic towns and villages including Chepstow, Monmouth, Hay-on-why, Kington, Presteigne, Knighton, Bishops Castle, Montgomery, Welshpool, Oswestry, Llangollen, Mold, Ruthin, Denbigh and Prestatyn. The 'Offa's Dyke Centre' at Knighton in Powys, provides information on the dyke's history and construction.